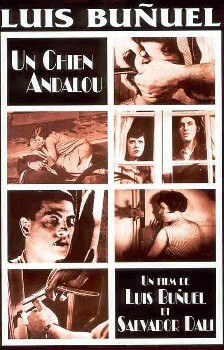 For a silent film running only 15 minutes, Un Chien Andalou casts a long shadow. It is seen as a predecessor to both low budget indy cinema and modern music videos. It helps, of course, that it was made by Luis Bunuel and Salvador Dali, and is widely considered to be a masterpiece of Surrealism. But consider that it was Bunuel’s first film (Dali’s too, but he was already famous for his painting). And, of course, it opens with what is still one of the most shocking scenes in cinematic history, an eyeball being cut open with a razor. (Don’t worry, it’s not a human eyeball – it’s that of a dead donkey. That is Luis Bunuel weilding the razor, though.) The rest of the film is a dreamlike series of disjointed images and scenes which creates a level of confusion in the audience that it takes Chris Nolan 2 or more hours to acheive. You should definitely see it if you haven’t yet.